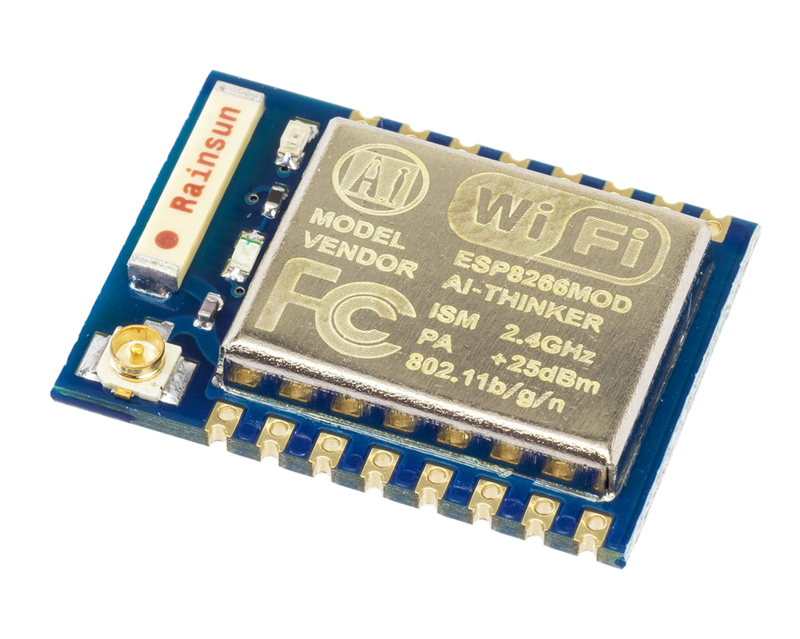 Many of you must have already heard about super low cost ESP8266 chip developed by Espressif which is Low-power, highly-integrated Wi-Fi solution, it uses just 7 external components, supports wide temperature range: -40°C to +125°C, embedded with upto 8MBit FLASH as mentioned on their website. Lot of external companies have started using this chip and rolling out WiFi modules with integrated antenna on PCB or an option of chip and/or SMA antenna connector. The SLIP protocol (Serial Line Interface Protocol) allows you to to use the ESP8266 as a network interface, thus providing internet access through its Wi-Fi capabilities. Note: Toradex do not recommend or endorse this WiFi chip /module, this article is just an example showing how this WiFi solution could be used on our platform. It is developers responsibility to evaluate reliability and other parameters before putting it on to the design. It is possible to use the popular ESP8266 board as a Wi-Fi adapter for embedded Linux systems by making use of the SLIP (Serial Line IP) protocol. This allows an internet connection to be routed via common RX and TX serial lines. On your host computer, download and install esp-open-sdk. You can test it by compiling and uploading the "blinky" example to the board. In another directory, clone the esp_slip_router repository. Modify the Makefile to change the BUILD_AREA environment variable. Modify user/user_config.h with your desired settings, such as SSID and password. after flashing, the board should automatically reset. If using the NodeMCU board, connect its RX and TX pins to the TX and RX pins of your Linux board, respectively. Don't forget to connect the GND and 3.3V pins. Copy the generated .ipk packages to your board. They should be in deploy/ipk/armv7at2hf-neon. This will attach the serial line device that is, in this example, on UART_C (mapped as /dev/ttymxc2, using the Colibri iMX6DL) with a baud rate of 115200 baud using the SLIP protocol. This will create a new network interface (sl0) with address 192.168.240.2 and Point-to-Point address 192.168.240.1. These addresses are default and can be altered on the user_config.h file in the firmware. Note that, since the UART is communicating at 115200 baud, the connection speed will be rather slow. It is really easy to interface these modules supporting UART (AT Commands) with any controller or processor. We have done an example application in C to connect the ESP07 WiFi module to network & receive data. 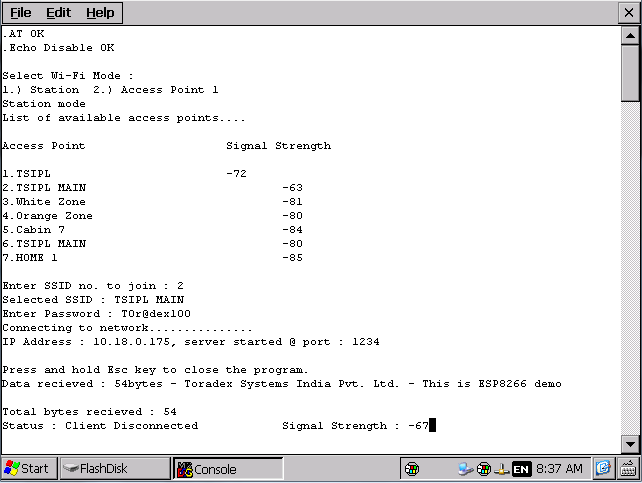 The ESP07 module is configured as server and Hercules is used as client.